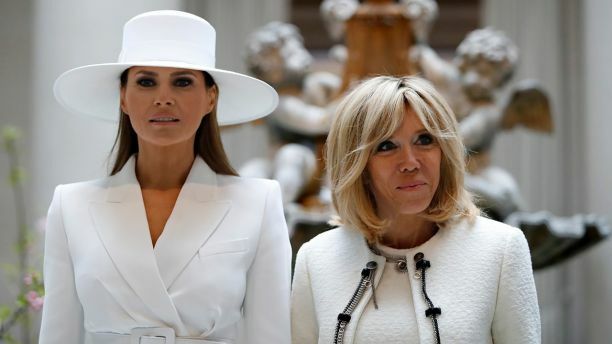 Without saying a word, dressed in a white Michael Kors Collection asymmetrical blazer and skirt and a custom-made Hervé Pierre hat. Melania Trump spoke volumes. This was her house, her dinner and her terms.